Happiness is a big word. A really big one. None of us really know what it means, but it's something we all want. Recently, I've been feeling a bit weird. Not really down, but not necessarily happy. For now we'll put it down to a tough few months and overloading on chocolate over Christmas. But since new year, I've been feeling brighter. I'm making more of an effort to see friends, like on this day (yesterday, if you're reading this post as soon as it's published), I woke up in the flat of one of my dearest friends, after catching up with some pals the night before. 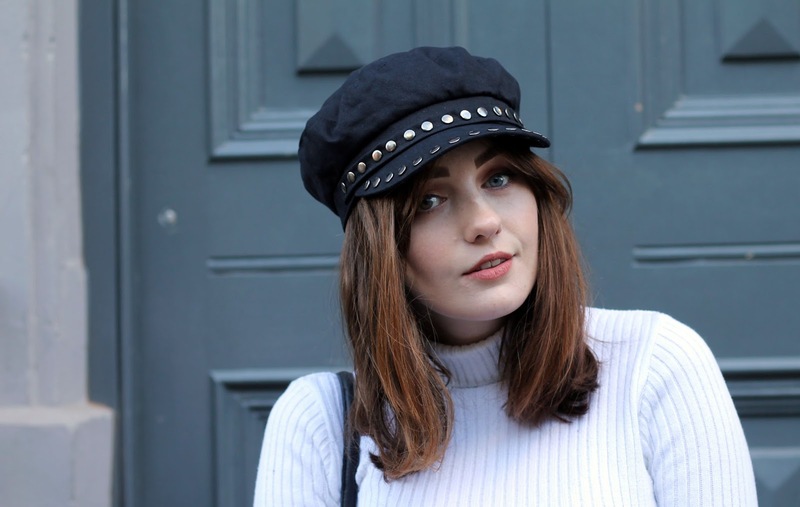 Then, I went into town with my bestie @bethgribbo to shoot these snaps and grab a coffee. Looking back at these pictures, I realised, this is it. This is happiness. It's those fleeting moments where your grin takes up your entire face and you've got a delicious mocha from your favourite coffee shop waiting for you. It's when you're wearing an outfit that makes you feel great and your confidence is higher than the day before. Not to be cliché or anything, but it's the little things. Even just realising that and sharing it with you is making me smile. Did these tartan kick flares give me an epiphany? Is that a bit dramatic to say? Because I think it's partly true. Speaking of happiness, here's some Happiness Boutique goodness again. 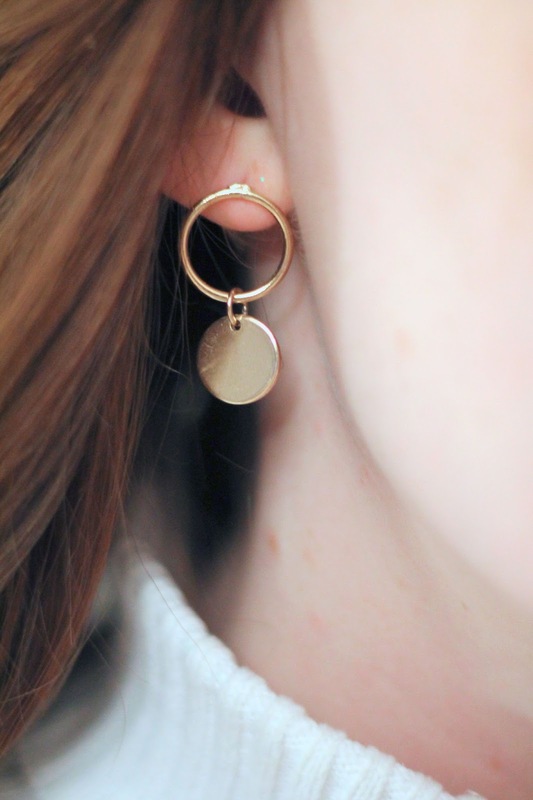 I mentioned my stacking ring set in my star print outfit post and I'm loving these earrings*, too. They're the perfect mix of classic and contemporary, and they're available in silver. So if you haven't already, make sure to take a look at their jewellery - my wish list is getting longer and longer. Better yet, get 10% off any order over 19 euros with the code 'tiedyeeyes' until 8th Feb. But I want to know what you're loving lately. Fashion wise or anything else. What's made you smile so far this year? What are you looking forward to? I want to hear all about it, whether it's in the comments below, on Twitter or over on Instagram. Let's chat and share the good vibes.